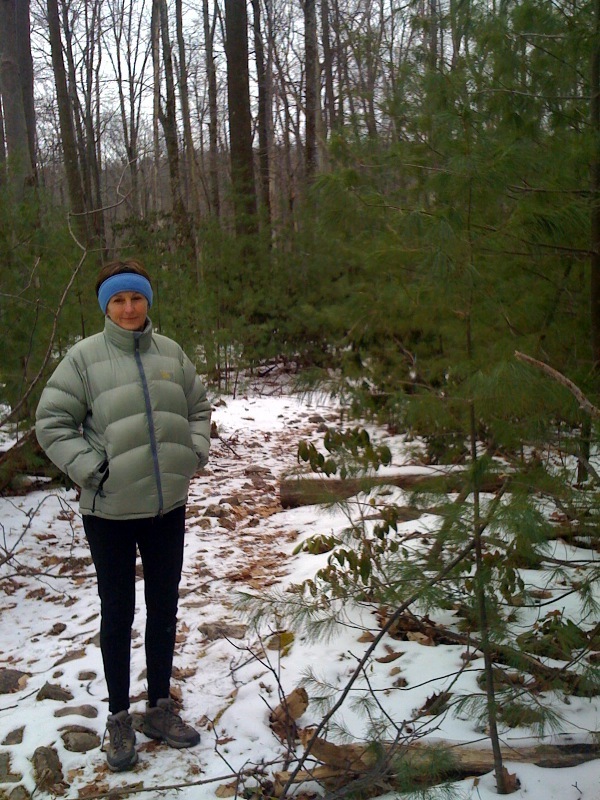 Visiting my parents for the holidays, we went hiking around Bear Meadows in Rothrock State Forest (central Pennsylvania) a few days ago. As we emerged from the aggressively drooping forest of rhododendrons into stands of oak, pine, and other trees, I noticed large patches of what I think are Eastern white pine saplings. They may have been just a couple years old, and grew not in the clearings but under a fully thick canopy of oaks and other angiosperms (your word for the day – click on it to look it up!). I did not spot any other white pines in the immediate vicinity. I have read that there are active human restoration efforts to boost white pines’ numbers in Pennsylvania, but the placement of these saplings did not look human designed. For example, one would be right up next to an existing tree or shrub – clearly the root system of that other plant would have made digging a hole to plant the tree inconvenient. -Which trees did the cones that grew here come from? -Did those cones end up in a patch here, or are they scattered all throughout the forest? If they are scattered evenly everywhere, why did they only germinate and grow here? -What combination of light, moisture, topography, and microorganisms in the soil made this a great spot for white pines? -What eats pine cones and/or seedlings around here? -Regardless of the environmental factors that make this quarter acre favorable to white pines this year, they are sure to experience competition with the other white pine saplings as they grow larger. Not all of them will survive. This kind of patchiness and lowered fitness of individuals in crowded places is a pattern we can see all over in nature. Even on a short afternoon walk through the woods. As it’s almost 2011, it seems like a good time to continue considering space colonization. I posted below about a spaceship or colony like Biosphere 2, and how many species could survive indefinitely on it. Instead of more than three hundred species of rainforest tree, I imagine a dozen or fewer species could persist in the rainforest because their population sizes would be too small to avoid inbreeding or survive disasters. There are only so many trees that big you can fit into an area less than the size of a football field. From talking to students who do research in the rainforest (e.g. Ty Taylor currently in Scott Saleska’s lab), it sounds like about 400 is the high end of what you could pack in there, and fewer than that would persist even with good care. And that is assuming they get pollinated and make seeds at all – something people would have to help them out with in the absence of the right insects or wind. Speaking of insects, you could fit a lot more species into the area and have reasonable population sizes, just because they are so much smaller. There are in fact a lot more insect species in the world than there are plants, too – is that for the same reason? Or are other factors, like the genetic structure and the forces that separate and shape populations at the root of such high insect diversity? Biologists are still studying that question. So what else does thinking about little Biosphere 2 tell us about the big Biosphere all around us (Earth)? Well, assuming Earth is like an island with no immigration, a colony all alone in space, no new species are showing up and evolution happens verrrry slowly. In the meantime, some of the fast changes people are making, like chopping down the Amazon for soybean farms or cattle ranches, like building shopping malls and suburbs in the deserts, like introducing snakes and rats onto islands that have never seen such things – these fast changes are causing a lot of species to go extinct. How many? Well, about 1% of the total described species. Considering that more than 99.9% of all species that ever existed are extinct, that’s really not a lot. Other people argue that we have only described a small proportion of the diversity in the Amazon, and are changing that habitat at really astonishing rates, causing hundreds to thousands of extinctions a year that we don’t even record. Is there any reason to worry about this? Why not keep at least the handful of species we actually want – a few individuals in zoos if necessary? Barbara Kingsolver makes a compelling argument for diversity as an insurance policy against disaster and as the raw and holy creative potential invested in the world we live in. Others have described the process like a giant game of Jenga – all these species depend on one another and pulling out a piece at a time, we may eventually cause the structure we depend on to collapse. Of course, if you live in a space capsule, you can build machines sufficient to produce oxygen, clean your water, fertilize your plants, and other services we get for free from nature in the Big Biosphere here on Earth. As a friend (thanks Gabriel!) pointed out to me, there are aeroponic crop options if you live in low to no gravity – no messy (or free) ecosystem services to worry about. Unfortunately for those of us busily buying things that destroy diversity here on earth, building our own replacements for those services on a planetary scale might be just too expensive. Mars? 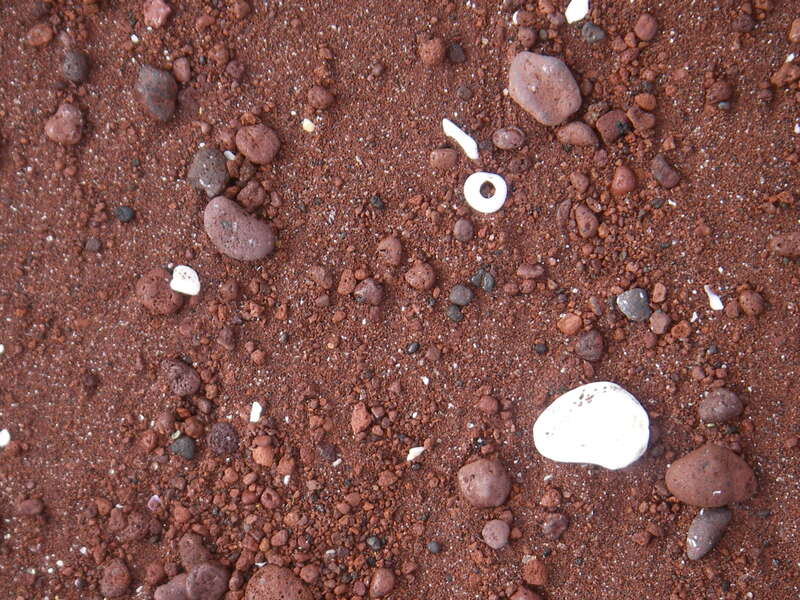 No, this is a beach in the Galapagos. A permanent outpost on Mars might look like Biosphere 2, which we can imagine as an island. A few weeks ago when NASA announced it had a big discovery (which turned out to be bacteria that can build themselves with arsenic – see below), it reminded us all how cool it would be to colonize space. Maybe we could start small with Mars. As Dirk Schulze-Makuch and Paul Davies suggested in an October article in Journal of Cosmology, we could make it financially feasible by sending people on one-way missions there. That was kind of the idea behind building Biosphere 2 in the early 1990’s, as a mock-up for a self-sustaining colonial ship to pace. And as we found out, that’s not so easy. And since University of Arizona agreed to take it over a few years ago, we have found out more about how the big biosphere, the one we live in, works as well. This inspired the topic of the lecture I gave last weekend out at Biosphere 2. People are still counting how many species have survived the missions, the periods of disuse, Columbia University’s tenure, and the various management regimes throughout that. Ty Taylor, who is a grad student in my department (EEB), censused the plants left in the rainforest. He’ll publish that later, so this is just a teaser – he has cool results. 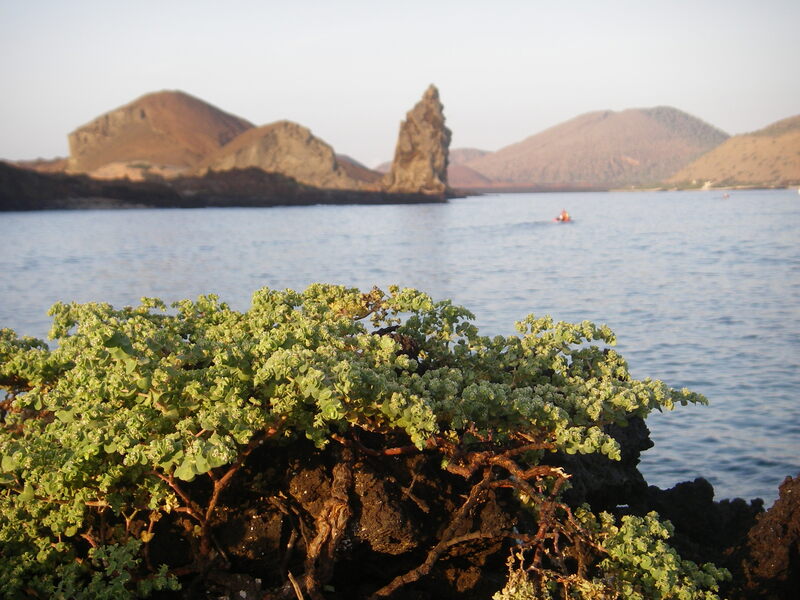 To get to an island, like in the Galapagos, plants and animals have to fly or float or swim or hitchhike. How would new plants or animals get to an island on Mars? 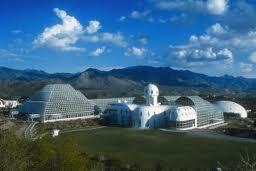 So how many species could last indefinitely in the different biomes of Biosphere 2? There are a lot fewer of some kinds than were originally introduced there in the 1990’s. Other species, like cockroaches, have moved in since it has been kept unsealed since then. We can imagine it like an island that has been cut off from its continent. Perhaps it used to be a penninsula, connected by a narrow bridge (or in this case, an open door). Then that last bit of rock, buffeted by waves, collapsed. Or in the case of a Biosphere 2 type rocket ship, it was sealed up and blasted off. Two very famous ecologists, E. O. Wilson and Robert MacArthur, wrote about the Island Theory of Biogeography. This idea is that within a group of organisms – for example, trees or grasses or mammals – the larger the area, the more species will live there. It’s kind of an obvious point, right? You can have more types of rainforest size trees in 100 acres than you could in a quarter acre. On an island, new species show up periodically. They fly there or float there on logs. If there are enough of them surviving to make babies and their babies can make babies, a new population takes hold there. Because they all come from just a few individuals and the island habitat might be different from the environment where they evolved, eventually they look different than their ancestors. This is called adaptive radiation. 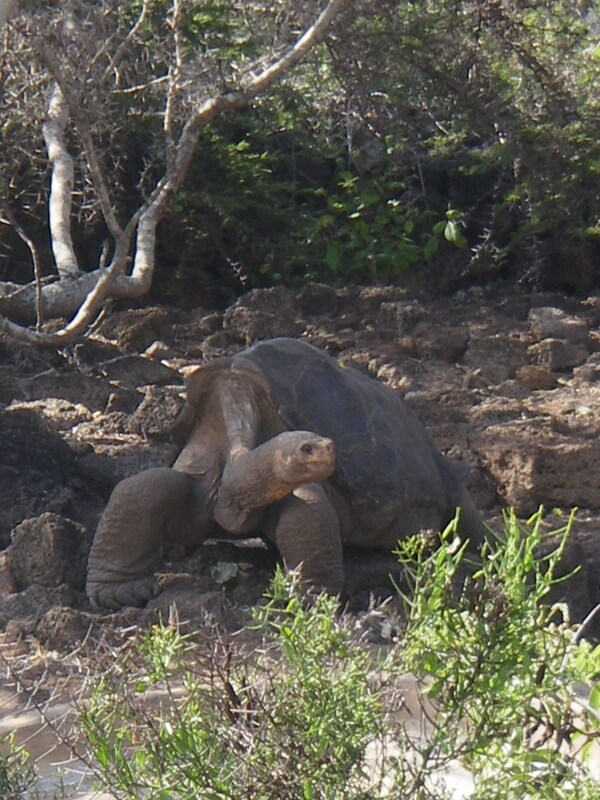 Lonsesome George is the last Galapagos tortoise from his island. He now lives a cushy life at the Charles Darwin Research Center on San Cristobal, where he meets a lot of lovely lady tortoises, but he doesn't seem to want to make babies with any of them. But these new populations can go extinct, too. If there are only a couple of individuals to start the population, their offspring have no choice but to mate with cousins or siblings – yuck! Their offspring are inbred and do not survive as well. Or maybe the island is hit by a tsunami or a really cold winter and a whole population dies. The Island Theory of Biogeography is the idea that larger islands can support more individuals, and so can support more species because their rate of arrival is higher than their rate of extinction. Islands that are closer to continents also have more species than islands the same size that are further away, simply because they get more new arrivals, regardless of their extinction rate. Robert Ricklefs and Eldredge Bermingham recently published a review of this idea. So… an island the size of two and half football fields is pretty small for many Amazon trees to survive – and even smaller when you consider the rainforest is only part of that. Heck, it’s pretty small for human-sized animals to persist. And if you’re on Mars, there are pretty few new colonizations going on. Would you go if offered the chance? What if you could take your family? What would you want to know before you did? I’ll post next about how many species there are back on the mainland (Earth) and what this tells us about biodiversity here. How many species have been described by humans? (Hint: a quick Google search will get you some results, make sure you find the most legit!) Do we think we are anywhere close to describing them all? How could we tell? How many species could survive inside Biosphere 2 indefinitely? What determines the number of species that can persist in a given environment? Should we worry about the rate of extinctions? Can we build some Biosphere 3’s and 4’s in response to climate change and be okay? I’ll be giving a talk at Biosphere 2 10:30 Saturday addressing these very questions. If you’ve been putting off that visit you always meant to take, this might be a good weekend. Some blogs claim this changes everything we know about biology, which I think is pretty inaccurate. After all, we recognize the basic structures of these bacteria. They are still self-organizing and perpetuating entities subject to natural selection. But it’s still a pretty cool discovery, no less because it occurred at Mono Lake! The saga of Mono Lake and its close brush with extinction is a story I’ve used to teach workshops on environmental ethics after reading about it in Cadillac Desert and attending college outside Los Angeles. It’s a fascinating place and a fascinating drama that is still going on.